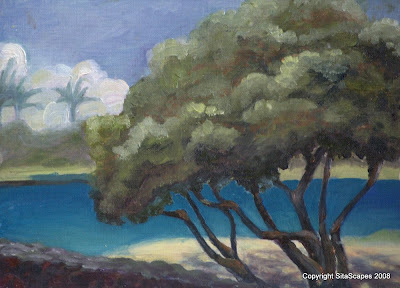 Artists Comments: By chance, I was introduced to the West Hawaii Plen Air Painters and was delighted to meet with a group of other artists to practice with. This was my first painting completed with the group and I knew they would be good for me for the simple reasons that they had a wonderful combination of talent across multiple media and a healthy dose of sarcasism and humor. I was sold and energized about continuing my journey toward mastering oil painting.